M. Mildred Huie Museum– Mildred Nix Huie was an impressionist painter who made St. Simons Island her home in the 1960’s. Along with fellow artists, they founded the Left Bank Art Gallery which began a tradition of sharing a love of the arts with the Golden Isles community. Today, you can visit her original studio, the Mediterranean house and view many of her original works. N. Nature– St. Simons island is known for it’s love of nature and the abundance of animals and birds living on the island. Because of it’s location the island is a prime spot for bird watching. You can often glimpse rare birds that are not native to the area but are passing through during their migration. The island is also home to deer, alligators and many species of fish. You can also spot dolphins and North Atlantic right whales close to the shore! O. One of A Kind– Anyone who has visited the island and all of the locals will tell you that St. Simons Island is truly one of a kind. The natural beauty and the friendliness of everyone you meet combined with great shopping, many golf courses, outdoor activities, delicious dining options and pristine beaches creates the perfect island for everyone! 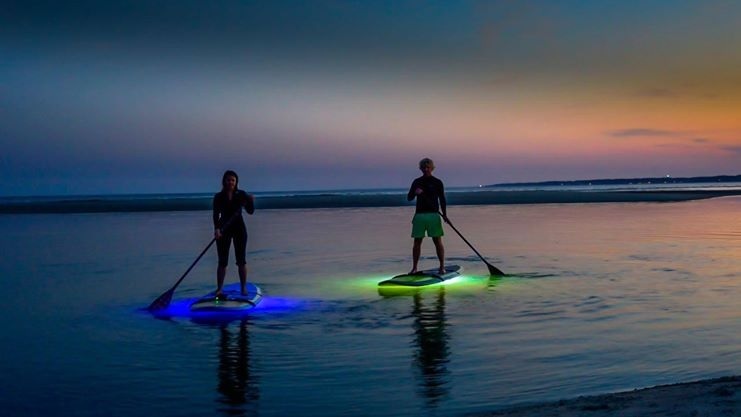 P. Paddleboarding– A favorite island sport, you’ll see paddle boarders out on the water nearly every day! Due to the small waves off of our shores, our location makes for an excellent paddleboarding experience. If you are looking for something unique, we recommend nighttime paddleboarding! Q. Quaint Village– The heart of St. Simons Island is the pier village. Located just a mile from The King and Prince Resort, you will find a waterfront park, mini golf, many shops and restaurants and a pier for fishing, crabbing and people watching. The laid back and friendly feel of the village makes it the perfect way to spend an afternoon. Be sure to stay for sunset and watch the spectacular colors reflecting off of the water! Click to view The ABC’s of St. Simons Island part 1 and part 2.